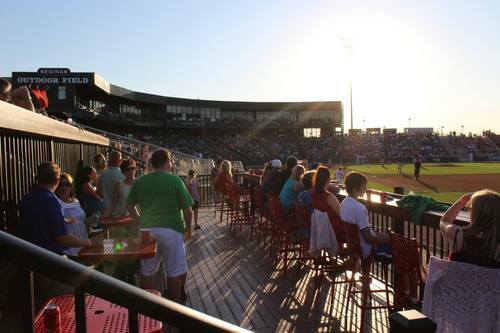 ADD SOME FUN TO YOUR NEXT EVENT BY BRINGING YOUR BUSINESS OR GROUP TO A REDHAWKS GAME! 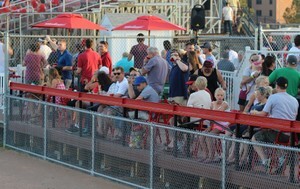 Located down the 1st base line featuring bar stool seating and picnic tables. • All you can eat hot dogs, bratwurst, pulled pork, potato salad, potato chips, pop & water, and snacks. • Buffet starts when the gates open and runs until 1 hour after first pitch. • Plus $2 12oz draft beer available exclusively to your guests all game. Exclusive to your group. A great third baseline view that features bar stool seating and additional bleacher seating. • Your choice of all-you-can eat hot dogs, bratwurst, pulled pork, potato salad, potato chips, pop & water, and snacks.